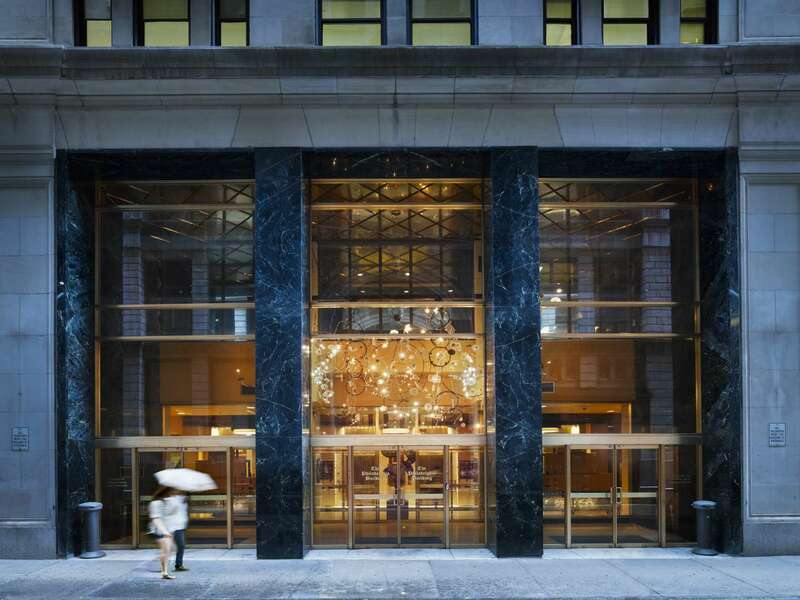 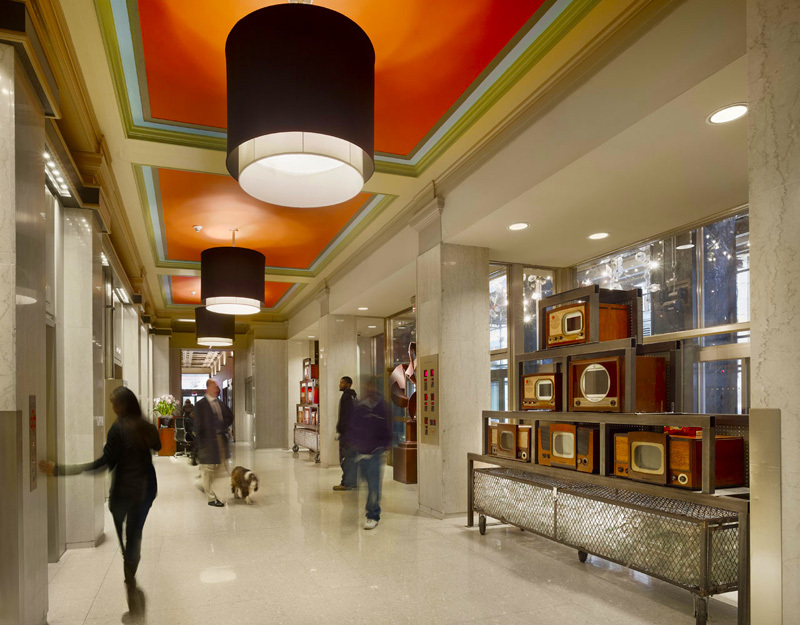 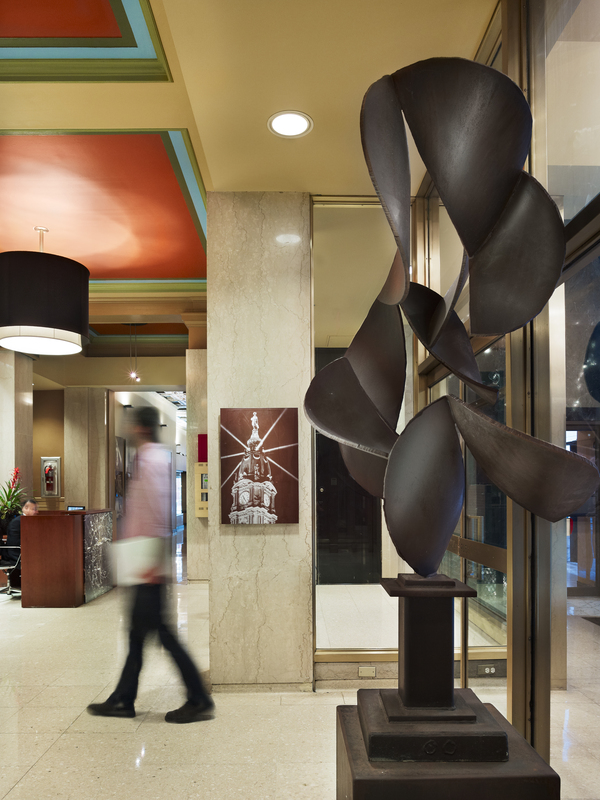 The Philadelphia Building has been home to Michael Shannon Designs for over 15 years, so when the public spaces needing updating, Goldman Properties knew just who to call. 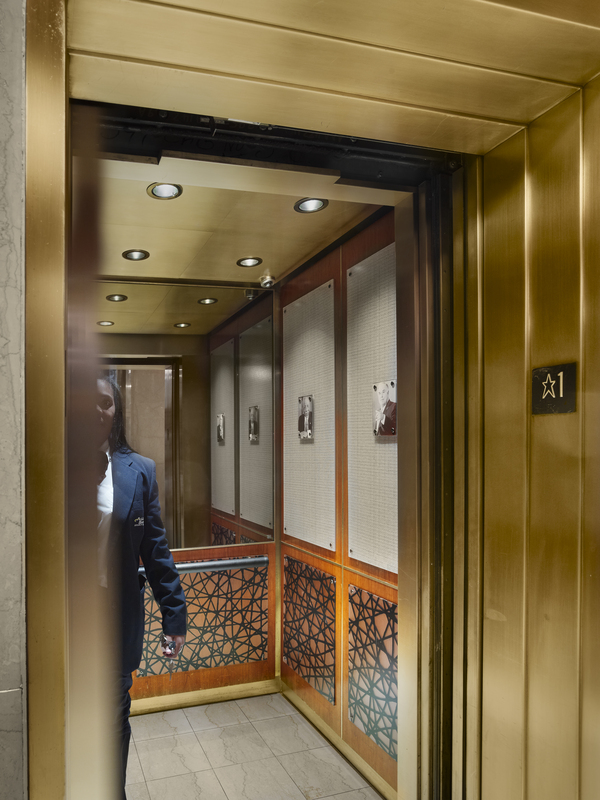 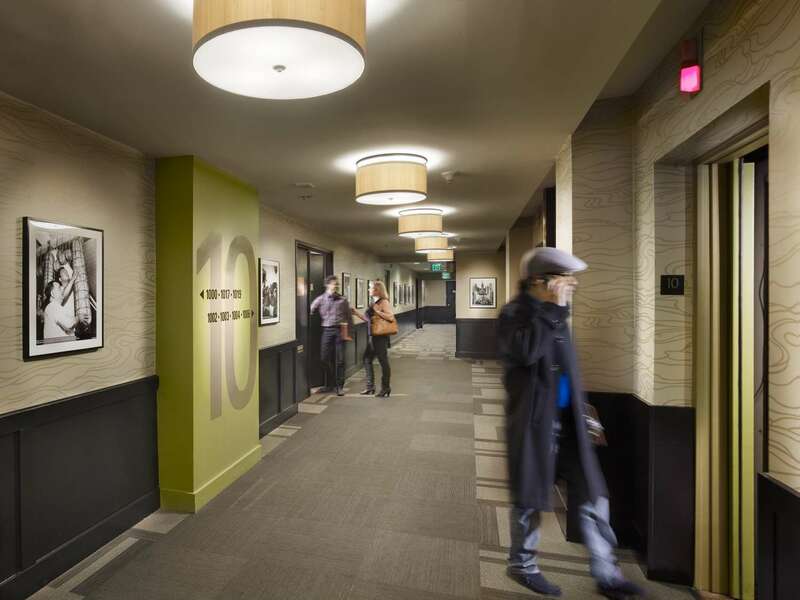 The goal was to modernize every floor of the 17 story building while highlighting the original 1920’s architecture that gives it its character. 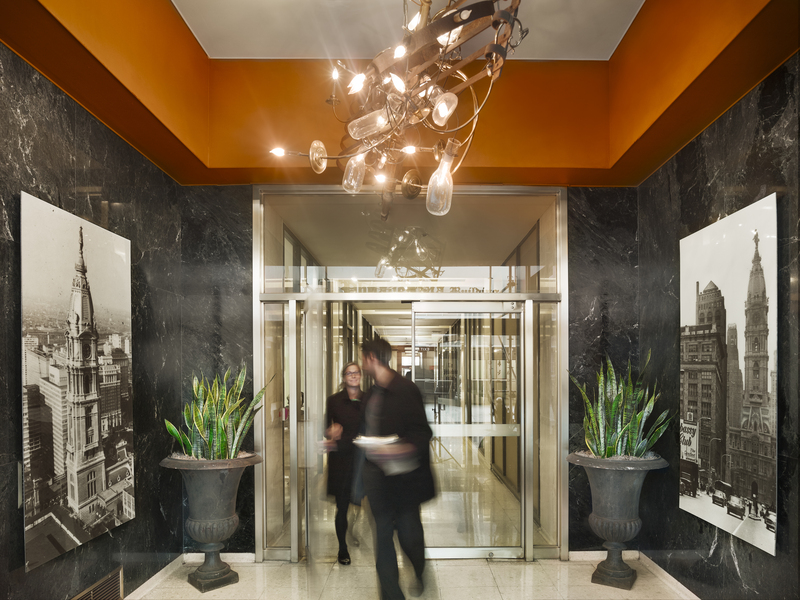 Two complimentary color palettes were selected to alternate on every other floor. 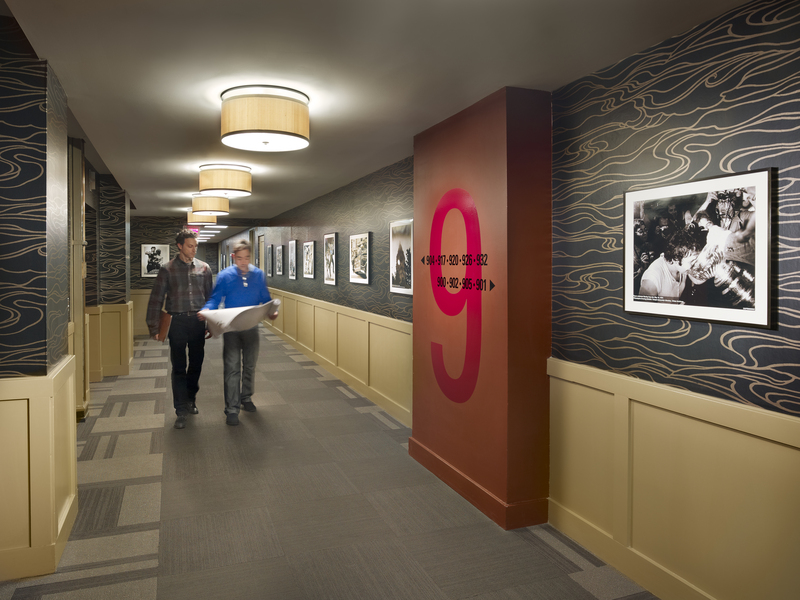 Dynamic wallcovering and signage finish and brighten the spaces. 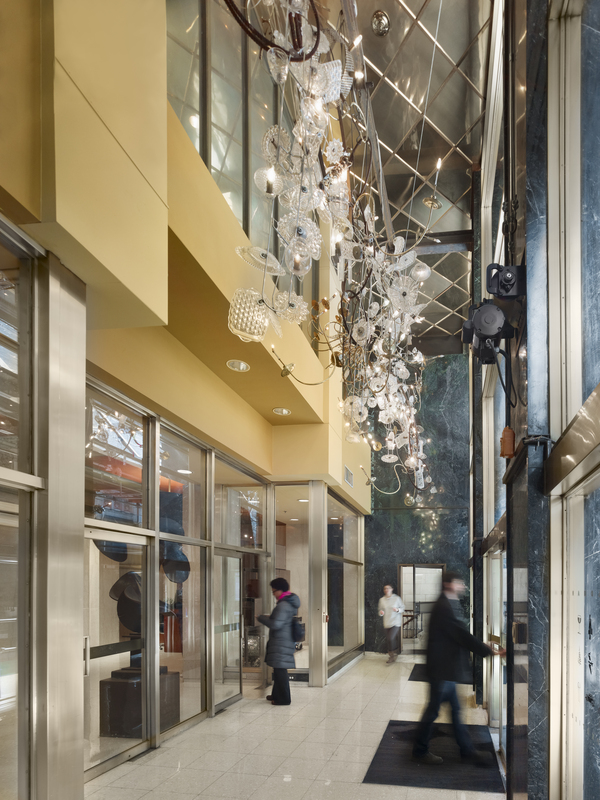 Custom chandeliers made of found objects by a local artist hang in each of the three entryways and stir up conversation amongst visitors as they ride the newly designed elevators to their destinations.